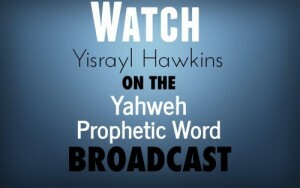 Who Is High Priest Over The House of Yahweh? When and How Did He Qualify? 1 Then Yaaqob called for his sons, and said; Gather together, so I may tell you what will befall you in the Last Days. Genesis 49:1, 10, 11 shows the one who qualified as the Scepter Holder and High Priest over The House of Yahweh does so in the Last Days or this present prophesied generation. Hebrews 1:2 is to be a Prophecy for these Last Days. These Last Days are a time when Yahshua is High Priest over The House of Yahweh built by the man named the Branch. Yahshua is the one and only Name whereby we must achieve Salvation. See this in The Book of Yahweh.